All power to the Elderberry (or, why I haven't had a cold for three years). 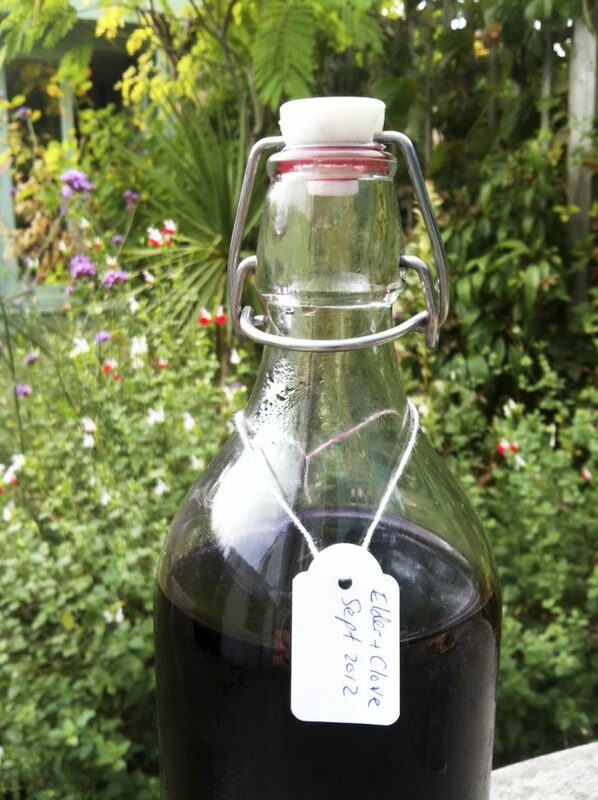 Last week I went out and picked some elderberries to make an elder and clove cordial. A simple task to make a simple drink but one that is brilliant on so many levels, not least of all it’s taste. Two hours later and I had created the best winter tonic there is (save leaving the country for a few weeks on a beach in Southern India). Our humble elderberry ( latin name Sambucus nigra) has numerous health giving properties, is rich in vitamin C, stuffed full of anti oxidants (which combat infection and viruses), is clinically proven as a treatment for flu being not only a great anti viral but also anti inflammatory. If that’s not enough it’s also a diuretic and a decongestant, in other words pretty much everything you need to fight winter colds. The recipe I used comes from Robin Harford’s wonderful Eatweeds website. I modified Robin’s recipe slightly as I prefer to freeze batches of this so don’t need to use so much sugar as a preservative and also I added more cloves than he suggests , just because I like the flavour. As Robin mentions in his post, the best way to pick elderberries is to cut the whole fruiting head off with scissors and then take the berries off at home by running a fork through them. I’m not going to offer lots of advice on specific identification as I only recommend you collect wild foods with someone very knowledgeable but if you do decide to collect these berries don’t eat them raw as they make some people sick and be careful not to collect slightly toxic dogwood berries instead which also appear in bunches around the same time of year. Obviously elder has numerous spring time uses (elderflower cordial, champagne, lemonade etc) but this really is such a delicious and easy autumnal drink to make there’s no reason not to and there’s still loads of berries on the trees. Also look out for jelly ear fungus (Auricularia judae) which grows on elder branches. It will probably be dried out and quite brittle but if you snap it off and chew it, it lets out a lovely mushroomy flavour (well I think so but some people think it tastes awful). Once again and especially with mushrooms, don’t pick anything your not 100% certain of. If in doubt don’t touch it. Instead, book on one of my walks and I’ll show you exactly what to look for. Lastly, here’s a link to some good identification pictures for elder at this time of year. You will find this rather scrappy but wonderful tree all over London and certainly in most parks. Is it too late to pick elederberries for your cordial? It sounds good snd I should like to try it. Next post: I bloody love mushroom hunting! Previous post: 20 minutes in my local park (september 3rd).